ONLY 50 COPIES IN EXISTENCE! 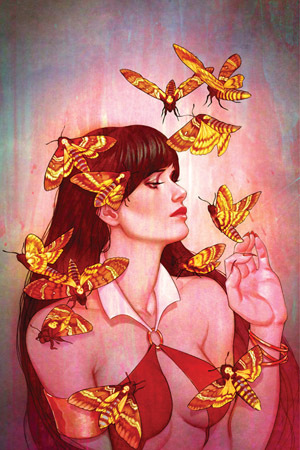 The softer side of Vampi is no less chilling thanks to Jenny Frison and this limited edition cover! Ships bagged and boarded with a Dynamite Certificate of Authenticity. 2. LAST CHANCE AND FINAL FINAL STRETCH GOAL FOR VAMPIRELLA KICKSTARTER! 4. VAMPIRELLA 50TH ANNIVERSARY KICKSTARTER FUNDED; NEW STRETCH GOAL & MORE TO COME!